Eastern Europe has always been mysterious, captivating and until recently veiled tourist destination for Western European and Northern American tourists. The fall of the Berlin Wall in 1989 has become a turning point in the history of many countries that used to be a part of the infamous Eastern Block. Within the last 20 years a lot has changed in the Eastern part of Europe travel industry and more and more tourists are heading east to discover hidden treasures and landmarks of Eastern Europe that used to be closed to foreign visitors. From vast and incredible rich in natural, historical and cultural resources Russia to hospitable Poland and surprisingly untouched by tourism Albania with its pristine Ionian coast beaches and ancient sites like Berat, Eastern Europe travel is awaiting its guests to uncover its many riches unlike anything you have ever seen in the Western part of the world. Please see below where our Eastern Europe travel guide uncovers major destinations and attractions of this part of the world. Russia, the largest country in the world, has always frightened and captivated the Western world with its political and military strength and most importantly by its immense natural attractions and cultural riches. Spanning across several time zones and ecosystems there’s so much to see and do in this incredible country. 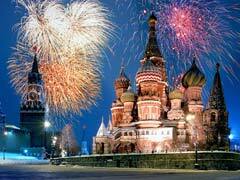 However, major Europe travel tours commence from its capital Moscow where visitors can witness the Red Square and Kremlin that have always been in the epicenter of Russian life, St Basil’s Cathedral and world’s well known Bolshoi Theater where guests can see Russia’s best ballet dancers. Besides Moscow, Saint Petersburg, the Northern Venice, is considered its second cultural capital that boasts an endless array of cultural venues ranging from its grand Hermitage Museum, the Russian Museum, Kuntskamera Museum and a myriad of famous St Petersburg bridges, some of them are raised at night to allow larger ships to pass presenting one of the best spectacles in Russia. St Petersburg White Nights phenomenon is another incredible attraction that is due to the city’s geographical location that is characterized by literally white nights and happens every summer. Ukraine, once in the shadow of Russia, has been enjoying its independence sine the 1990’s and has blossomed to become one of the most popular Eastern Europe travel destination. 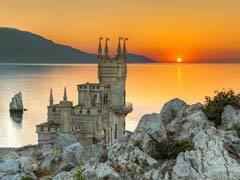 Guests will enjoy many wonderful historical and religious sights in its capital Kiev and Lviv and also bask in the sun of the southern Ukrainian resorts by the Black Sea like Odessa, or Yalta and Sevastopol in Crimea. Among its capital’s major landmarks one must visit are definitely the Kievo-Pecherskaya Lavra, the monastery historical site and gorgeous St Sophia Cathedral in Kiev. Baltic States are represented by three great nations, Estonia, Lithuania and Latvia being washed by the Baltic Sea with some of the most pristine beaches, gorgeous architecture and delicious cuisine. Seemingly similar, these 3 nations could not have been more different from one another according to various travel guides. Different languages, religions and influences, the Baltic States offer such a vast set of attractions and things to do ranging from exploring its seashore resorts of Jurmala, paying a visit to cultural and historical landmarks in Tallinn, Riga and Vilnius. Poland like the phoenix rising from the ashes has proven again and again that the strong and friendly nation of “Polaks” will not succumb even to the worst wars and invasions throughout its lengthy history. Even now despite its economy that is slowly awakening from the past ruins, no matter where you turn, you will find reminders of Polish sad past like WWII Nazi concentration camp sites, enormous Jewish cemeteries and former political imprisonment grounds. Despite its sad past, the country is now a blossoming Eastern Europe nation eager to welcome Western travelers and show off its remarkable Old Town in capital Warsaw, incredible medieval castles in Krakow and Wroclaw, and, most importantly, its mouthwatering cuisine consisting of pierogies, pork sausages and beet soups. Czech Republic is a relatively young Republic, however, capable at attracting millions of tourists willing to learn about its history and culture. 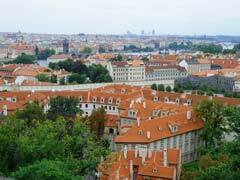 Prague is country’s capital and the most popular travel itinerary for most visitors. The capital has it all: amazing architecture, great museums and lovely roadside restaurants to try out local food and beer. In Prague visiting Old Town and Castle District is simply a must. History buffs will rejoice by visiting old time Moravia and Bohemia to marvel at historical sights and century’s old glass making industry of the country. In Moravia guests can get in touch with the urban side of the country by visiting palaces and castles that are deeply steeped in the history of the Republic. In Bohemia, on the other hand, crowds of tourists are heading to sample Czech famous beer at one of many Pilsner Breweries on its territory, bathe in the thermal spas of Karlovy Vary and purchase a few of Bohemian glass crystal products to take home. Hungary is a gem of a country made famous by world renowned music of Franz Liszt, rich Jewish culture and its great culinary creations. 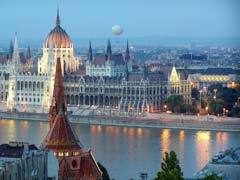 During its Communist past not many visitors went farther than its capital Budapest, however, now it’s all changing with more and more guests looking for Europe travel tours off the beaten path. Indeed, out of the box adventures are within reach here including activities surrounding its gorgeous Danube River and Lake Balaton. In Budapest, one will find all styles of architecture from Gothic to Art Nouveau, curious attractions like the House of Terror, a tribute to the victims to the former secret police, Great Synagogue and Basilica of St Stephen. 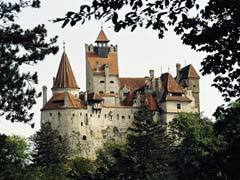 Romania is more known for its Dracula culture in Transylvania where you can tour medieval style castles and get in touch with the dark side of the country. On the lighter side, Romania has recently become a part of the European Nation and has made efforts in attracting tourists to its incredible outdoor adventures set at marvelous mountains, great lakes and farmlands. On top of that, Romania also has a bounty of Black Sea resorts known for their healing properties and a myriad of National Parks set at the backdrop of Carpathian Mountains. To add to this incredible package Romania has several World Heritage Sites including monasteries, churches and fortresses. Bulgaria is one of the most affordable tourist destinations boasting an impressive Black Sea coastal resorts, picturesque mountains and lovely cuisine. Once hidden behind the Iron Curtain, now the country is enjoying a vast exposure to Western travelers savoring its natural and cultural offerings. 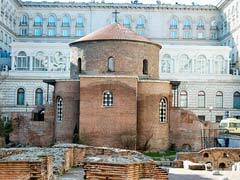 Its capital Sofia is best explored by walking its cobble stone streets, lounging in the city parks and sampling local cuisine by roadside restaurants and cafes. A great selection of museums, art galleries, churches and even central Mineral Baths are great attraction that should not be missed. Croatia is a Balkan country blessed with its geographical position on the shores of the Adriatic Sea. 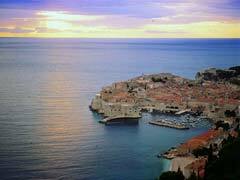 The country is famous for its seaside resorts with Dubrovnik being one of the most well known of them. Dubrovnik is a breathtaking resort at the Adriatic Sea blessed with mild year round temperatures, great coastline and most importantly its architecture. No visit is complete without seeing Dubrovnik Walls that date back to almost 13th century. Country’s capital Zagreb is well known for its old world architecture, great outdoor parks and most resorts being positioned within a short 3-hour drive. Montenegro, once in a dark shadow of Yugoslavia, has blossomed in newly popular Europe travel destination. 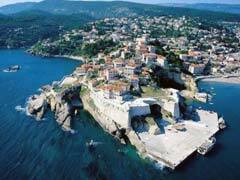 Its territory is set at the background of dramatic mountains and is washed by crystal blue waters of the Adriatic Sea. In the summer, enjoy its resorts and mountain hiking. 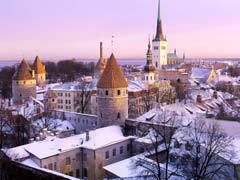 In winter, head here for splendid skiing and winter sports. We hope that our Europe travel guide covering its Eastern portion has inspired you to set on one of many tours and visit some of the most unique corners in this part of the world.